In much of Asia food is usually eaten with chopsticks. 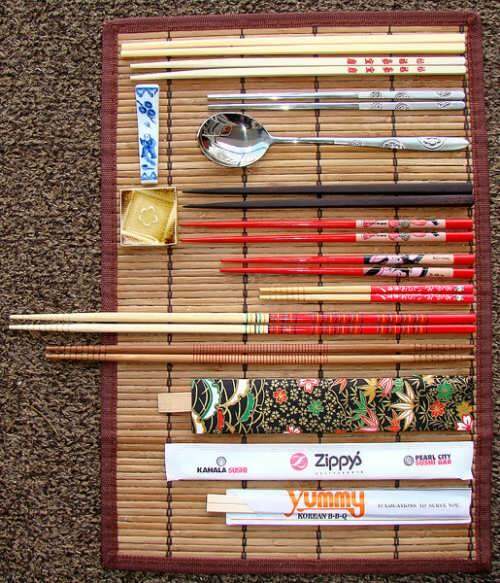 Chopsticks are two long, thin, usually tapered, pieces of wood. Bamboo is the most common material, but they are also be made of various types of wood, as well as plastic, porcelain, animal bone, ivory, metal, coral, agate, and jade. Royal families and aristocrats preferred silver ones, believing in the metal’s capacity to detect arsenic. 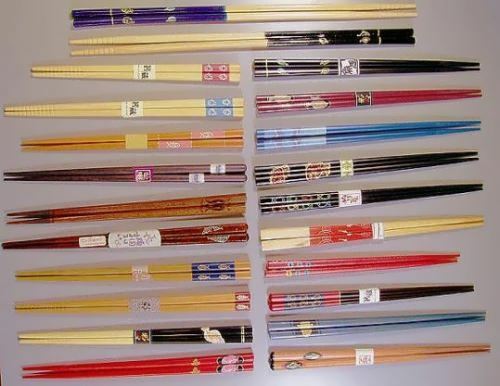 Today chopsticks can be made of coral, agate, jade, silk, plastic, horn, porcelain, animal bone, and stainless steel. 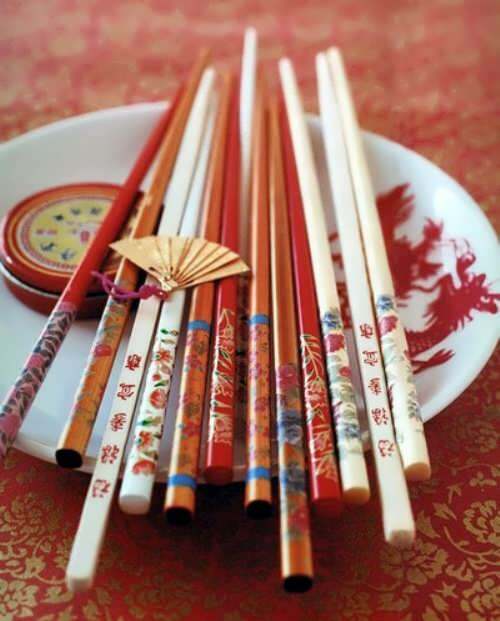 Truly elegant chopsticks might be made of gold and embossed in silver with Chinese calligraphy. Chopsticks may be totally smooth or carved or modeled ripples. Silver or gold paint can be used to give them a rough texture. In Thailand, wood is often elaborately carved into chopsticks. The ends of chopsticks can be rounded or squared, while the tips can be blunt or sharp. 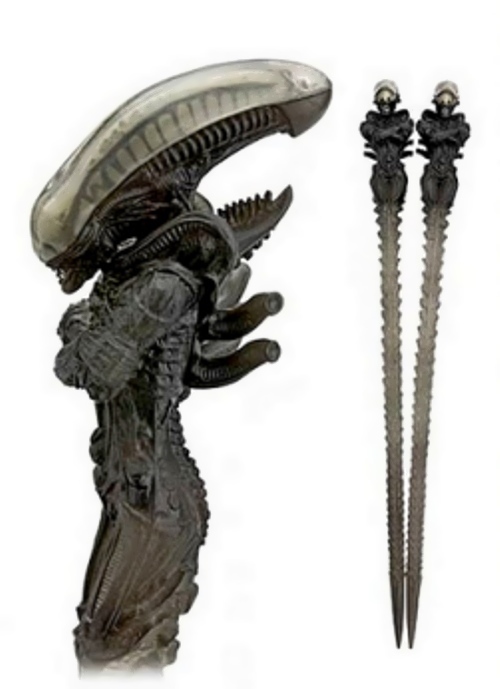 The Chinese have been using chopsticks for five thousand years. People probably cooked their food in large pots, using twigs to remove it. Small morsels of food could be eaten without knifes and so the twigs gradually turned into chopsticks. Some people think that Confucius influenced the development of chopsticks. 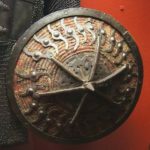 He was a vegetarian and believed knives would remind people of slaughterhouses and were too violent for use at the table. There is a legend about the origin of chopsticks. One recounts Jiang Ziya, a legendary figure of the Western Zhou dynasty (1045–771 bce). A magic bird gave him a pair of bamboo twigs capable of revealing poison to save him from his murderous wife. 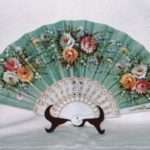 Another story tells that Da Yi, a concubine of King Zhou of the Shang dynasty (1766–1045 bce), fed him with her hairpins when she found the food was too hot for her hand. 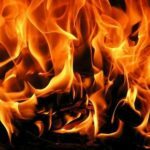 Still another story recounts that Yu, a flood-fighting hero of the Emperors Yao and Shun period, which predated the Xia dynasty (2100–1766 bce), was too busy to wait for his food to cool, so he fished it out of boiling soup with a pair of twigs he broke from a tree. 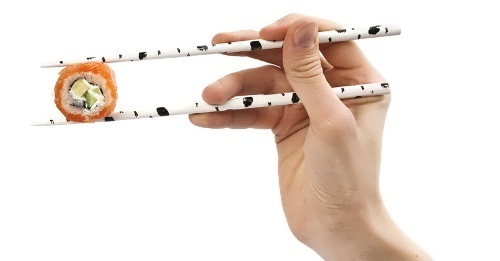 • Hold your chopsticks towards their end, and not in the middle or the front third. • When you are not using your chopsticks and when you are finished eating, lay them down in front of you with the tip to left. • Do not stick chopsticks into your food, especially not into rice. Only at funerals are chopsticks stuck into the rice that is put onto the altar. 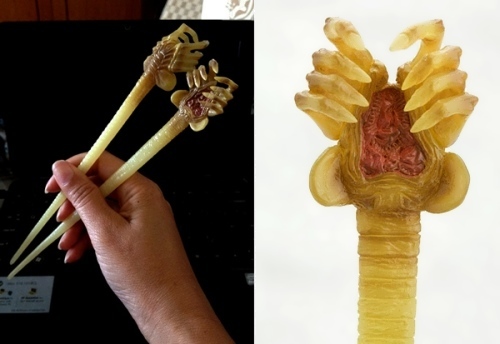 • Do not spear food with your chopsticks. • Do not point with your chopsticks to something or somebody. • Do not move your chopsticks around in the air too much, nor play with them. • Chinese: longer sticks made of different materials that taper to a blunt end. • Japanese: short to medium length sticks that taper to a pointed end. • Korean: medium-length stainless-steel rods that taper to a square blunt end, traditionally made of brass or silver. 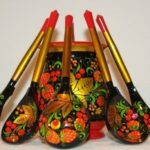 • Vietnamese: long sticks that taper to a blunt end; traditionally wooden.